There are a number of scenarios where you may want to update the Access to Records in an App and the same Access is needed across multiple records. One case could be that you have expanded your business and added a Team for a new department. That Team may need access to some of the existing Records in an App. This operation will need to be performed from a List Report. The List Report allows you to select multiple records at once. Do this by checking the box to the left of the Record row or check the box at the top left of the Report to select all Records. Once you have made your selection of Records select 'Security' from the Record feature menu. When you select this option it will pop up a dialogue box warning you that existing Access Rights will be overwritten. The Bulk Security update feature will delete the existing Access Rights on the Records and replace it with the Access that you will define in the next steps. Click on the tick icon to confirm and this will open a pane from the right of the screen where you can define the new Access Rights for the selected Records. 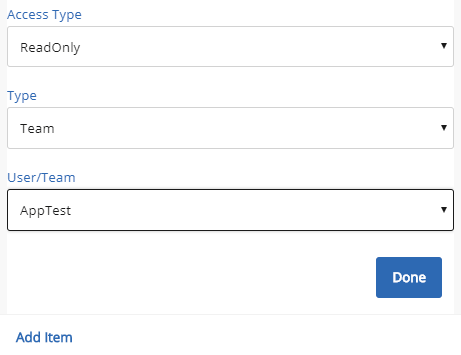 In the Security pane you will need to add the Users and Teams that you would like to see the Records.